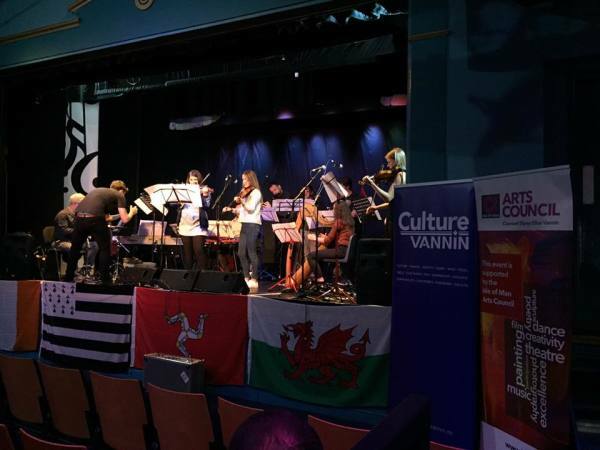 Yn Chruinnaght gives an opportunity to see and hear aspects of culture which are largely outside the mainstream. These are mainly, but not exclusively, from places which have a thread of Celtic culture, and whose cultures are celebrated for their similarities, but also for their differences as a result of other influences. It encourages a sense of place with a culture worthy of respect by showing the Island in a positive light, whilst showing other cultures and traditions as equally valid and worthy of the same respect. The festival was well-publicised in advance through media releases to newspapers, magazines and radio, and through online presence with a website and two Facebook pages and Twitter feed. Manx Radio AM had a full Saturday afternoon's broadcast including live interviews from the event. The event succeeded in attracting new audiences through its new format.